The scene of the murder in Blyth. Picture by John Tuttiett. A teenager has been arrested on suspicion of murder after a woman’s body was found inside a house in Northumberland. 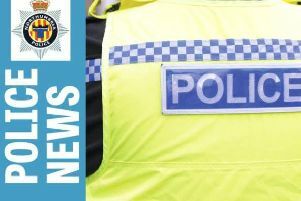 At 7.23am this morning, police received a report expressing concern for a woman inside an address in Edendale Avenue in Blyth. Officers attended and found the body of a woman inside. Paramedics were called, however she was pronounced dead at the scene. A 16-year-old male youth has been arrested on suspicion of murder and enquiries are ongoing into the death. The address in Edendale Avenue is cordoned off to allow officers to carry out their investigations. There will be extra officers in the area to carry out house to house enquiries and reassurance patrols. Officers believe this incident has taken place inside the property, that the offender and victim were known to each other and are appealing for anyone who might have any information that could help them to ring 101 ext 69191 quoting reference number 152 16/11/15.